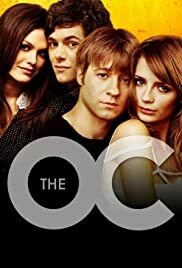 How many episodes of The O.C. have you seen? Seth: You were expecting someone taller? Blonder, with a pageboy haircut? Summer: Hmm. A little extracurricular activity with Dean Hess? Yeah. I saw you two making out at the dance. Q: How old is Kaitlin? Inevitably when a new show comes out, critics feel the need to compare it to something else. Why can't critics just base their opinions on the actual show and not something that was on the air in the 90's, namely 90210. I am not saying the show is without flaws, there are some things that need to be worked out, but I think it's a good show. It is entertaining and that's the most important thing. I think the actors are doing a good job and getting more comfortable with their characters with each episode. The plot lines for each of the episodes are somewhat exagerated, granted, but I would prefer to have a story that is exagerated and not entirely plausible or realistic. I want an escape. That's what this show provides. People just need to keep in my it's a soap and that's what soaps are like! 47 of 74 people found this review helpful. Was this review helpful to you?